Hello and Welcome to Truth Or Myth. In today’s episode, we take a look at another class of starships that seems to be in service for over a century, The Excelsior Class and we ask ourselves, does this make sense? The Excelsior-class was initially constructed during the early 2280s as one of the biggest experiments in Starfleet history. And that, of course, that experiment was Transwarp drive. During the events surrounding the Genesis Planet, the USS Excelsior, NX-2000 was sent after the stolen Enterprise, unfortunately, she was not able to follow through on those orders thanks to her then Chief Engineer Montgomery Scott’s sabotage of her Transwarp drive system. 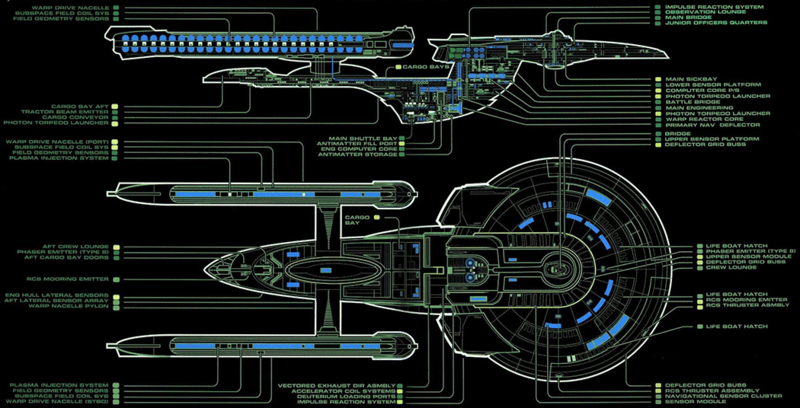 Sometime after, the Excelsior’s Transwarp experiment was deemed a failure, but since the ship was seen years later, having her registry number changed to the more official NCC designation, and her onboard systems also seeming to have a more traditional Starfleet design to them, it’s safe to assume that Starfleet’s core of engineers saw something in the design itself that would prove to make her the next step in Starfleet’s starship design evolution. The influence and importance of the class can also be proved by one other factor, the Enterprise B was an Excelsior Class Starship, though a slight variant of it having a few minor changes overall and one major change to secondary hull around the deflector dish area. Though we don’t know what happened to the Excelsior or The Enterprise B herself, we do know that by the latter half of the 24th century the Excelsior class was still in service and a prominent class of starships being seen in multiple episodes of both TNG and DS9. Unlike the Miranda Class, we actually know that Starfleet STILL has plans for the class herself as we see in 2372 the USS Lakota has received a major refit and upgrades that included improved phasers and quantum Torpedo launchers. 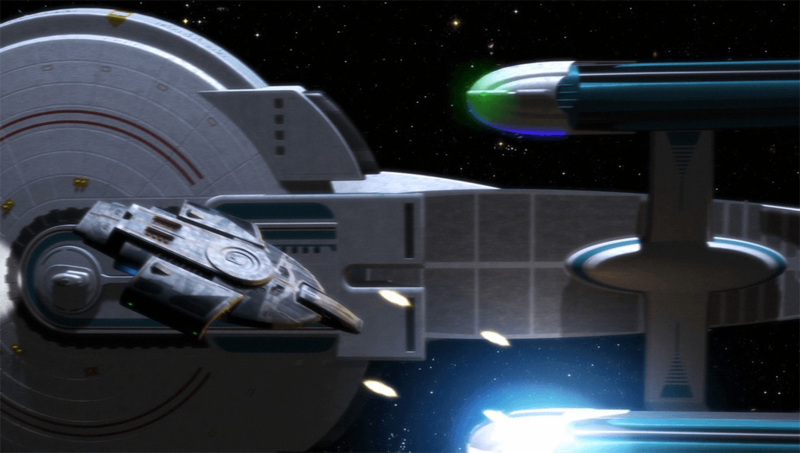 During the Dominion war, the Excelsior Class can be seen battling the threat of the federation and pretty much holding her own. And even though heavily damaged, it seems Starfleet wants the Excelsior class returned to repair facilities, which probably denotes that she’s a class that can take a beating and may not be that easy to construct. The Excelsior Class is approximately 467 meters in length, and 186 meters wide and has 30 decks. Her crew complement is approximately 750 officers and men which is a huge increase over the Miranda Class which by 2360’s has a maximum crew of 35. 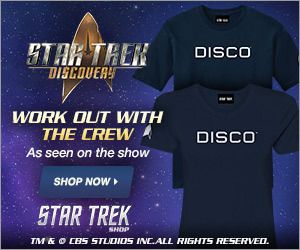 Seems the Excelsior Class is not as easily automated. 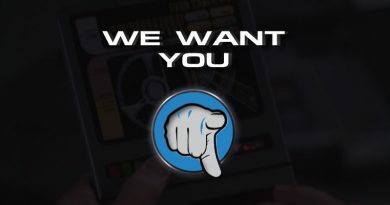 Her top speed in any Era is unknown, however, in a cut line from Star Trek 6, Sulu orders his helmsman to head to Camp Khitomer at warp 9, which fits with already established canon patterns for the Era and Starships of that Era. And then with Sulu’s fly her apart line, seems that Excelsior could go faster than warp 9 but at grave risk to herself, seen pretty much shaking apart on her way to help Kirk and Crew out. As for TNG Era speeds of the Class, in the DS9 episode Paradise Lost, the crew on the Defiant debate whether to fight or run from the USS Lakota. O’Brien then exclaims his concern for running, knowing that the Excelsior has been upgraded and not knowing what that would mean for her engine systems. So, up to that point, we can assume the Excelsior Class was slower than the Defiant which had a maximum Warp Speed of 9.5 and probably after the refit would have ended up being faster than her. Whatever the case, the Excelsior class would seem to be another shining jewel in Starfleet’s Starship Design Golden Age from the late 22nd Century, continuing to serve with honour and distinction. 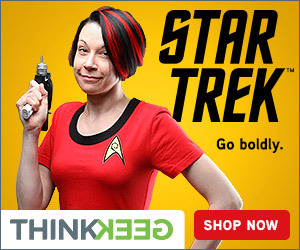 And after 100 years of being in service, it seems like Starfleet isn’t quite done with her class yet! And I think that’s great! The Excelsior Class is a beautiful ship design and a credit to the name Enterprise! Thanks For Watching, Live Long And Prosper.